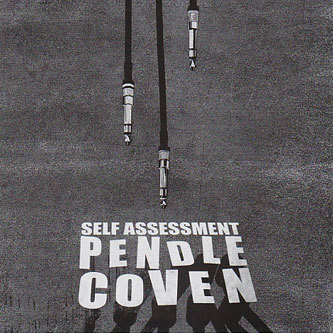 Since their 2003 debut 'Trouble At Mill', Pendle Coven have produced seven exceptional, restless twelves for the Modern Love label, not including work undertaken by one half of the recording duo under the MLZ moniker and a handful of projects produced and delivered under the radar. Typified by an inability to rest on their laurels, Pendle have explored areas of Techno and electronic music as diverse as their interests, taking in early-90's style 'ardkore, drone, Basic-Channelisms, Drexciyan electro and warehouse minimalism along the way. This debut album features 7 exclusive and previously unreleased tracks as well as 5 killers from the '£100 a metre', 'marriage of convenience', 'hex' and 'Iamnoman' EP's, spanning the last 5 years. The sound of 'Self Assessment' opens with the disembodied guitar treatment of 'Aged Drone', paving the way for the stripped menace of 'Iamnoman' - the title track of their most recent vinyl-only release. From there we drop in on the staggered proto-dubstep of 'Unit 6', an alternate string-driven version of the airy stepper 'Uncivil Engineering', the immense stripped reverberance of 'Optimal, pure bass pressure of "MVO Chamber" and, finally, the towering chord crescendos of the Berlin-inspired Exigen. All the tracks here have been lovingly honed and mastered at the hands of Dubplates and Mastering in Berlin, for added bass depth and space. Essential Purchase.